Herbal stress relief is natural, calming, holistic and effective. We love using these herbs to relax, unwind and find a peaceful balance. 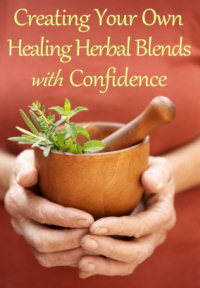 How to use medicinal herbs plants, make herbal tea and more. The herbs for relaxation are herbs that invite peace and stillness. Do you know which herbs to use? Society is fast-paced and makes many demands on you. And even if you are coping, you need to have a place of stillness where you can let go of tensions and negative emotions that distract you from what is really meaningful in your life. It reduces tension and anxiety and is a good pain reliever for tension headaches and migraines. It is also an antispasmodic and helps to relax painful gut ache. You can also use valerian to ease tight, knotted muscles. During the Second World War valerian was used for treating shell shock and nervous stress in soldiers and was said to be especially effective in calming the nerves of civilians during air raids. Nowadays, it is still used for chronic weakness of the nervous system, to help soothe edgy nerves. How does valerian herbal stress relief work?... Its releasing action helps to free energy held within the body due to shock and trauma. Valerian has been used for over 2000 years to promote clarity of thought and good eyesight. Add the root to soups, stews, and stuffings, as well as a relaxing drink. Warning!- valerian has a very noticeable odour - it smells like old leather or stale perpiration when cooked. The tincture does not smell as bad. But don't let this put you off enjoying the benefits of this relaxing herb! The passion flower is a beautiful and unusual flower - just looking at it makes you forget your stress and calms your soul! This herb is an excellent treatment for insomnia, whether this is due to overwork or exhaustion. It combines well with valerian and hops to induce a restful sleep. Passionflower can be such a potent herbal remedy because it calms muscle tension and twitching without affecting respiratory rate or mental function the way many pharmaceutical sedatives do. Use this herb for relaxation in a herbal tea to treat gastrointestinal upsets in children. Skullcap is a nourishing tonic for the nerves and is widely used for herbal stress relief and for anxiety. Rich in minerals necessary for a healthy nervous system, it relaxes while at the same time renewing and strengthening. Skullcap is one of the most popular herbs for relaxation and also has other uses. Scientific studies are proving this to be a valuable plant in many areas for mental disorders. Combining skullcap with hormone balancing herbs such as motherwort, will help insomnia and depression during menopause and ease symptoms of premenstrual tension. Skullcap lifts the spirits, pacifying the everyday tensions and agitations that throw us off balance. Caution - use with some caution since in overdose it causes giddiness, stupor, confusion and twitching. A soothing remedy, hops eases cramps and spasms, and is especially helpful for digestive complaints. The bitters in hops aids the digestive system and encourages the secretion of digestive juices. Traditionally, hops were infused in sherry to make a good digestive cordial and brewed into a herb beer. Hops have a sedating and pain reliving action and has been smoked for its narcotic properties. It is one of the best herbs for relaxation and restores a sense of calm. Combined with valerian and passion flower, hops are especially useful for conditions of high anxiety and sleeplessness. Use hops when you make a sleep pillow. Caution- Not to be used in cases of depression.